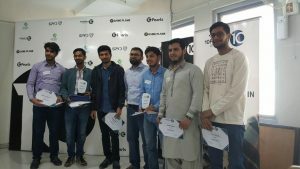 10Pearls continued its tradition of providing a platform for young technologists to showcase their talents at the recently held CodeFest in Karachi. The competition, an initiative of 10Pearls University, was held on this winter and afforded an opportunity for participants to test their skills against the best young talent in the city through a speed programming contest. 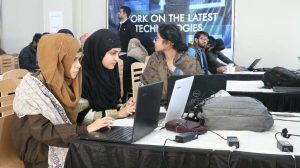 More than 300 teams, comprised of both professionals and computer science graduates, registered for the event, which was designed to test the coding and analytical skills of participants within a specific time constraint. This ensured that the competition not only judged the contestants’ proficiency in programming, but also their ability to work successfully in a high-pressure environment. With CodeFest turning out to be a huge success, 10Pearls University plans on holding similar events in the future, including training sessions, workshops, webinars, and technology competitions on a countrywide basis. All these efforts aim at establishing a healthy ecosystem of technologists in Pakistan, ready to bring in new innovations to the country’s technology sector.